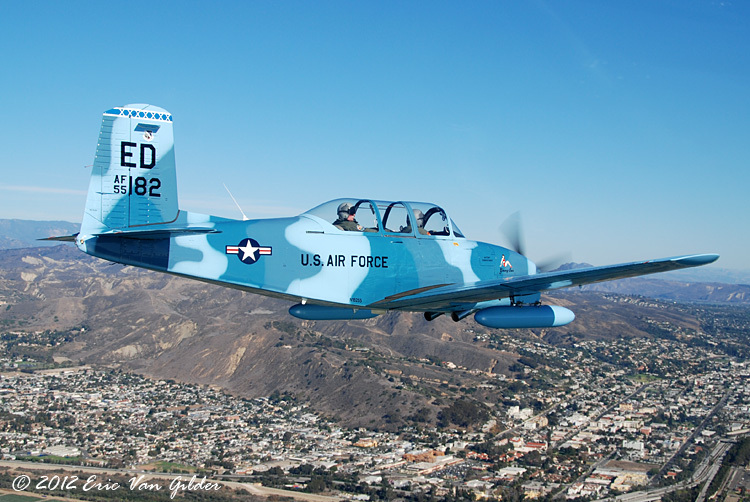 Santa Barbara hosted the annual Veterans Day parade on November 11, 2012. This year, I was in the mass formation to capture the event. Before the mass formation, 2 Hueys flew over the parade route first. 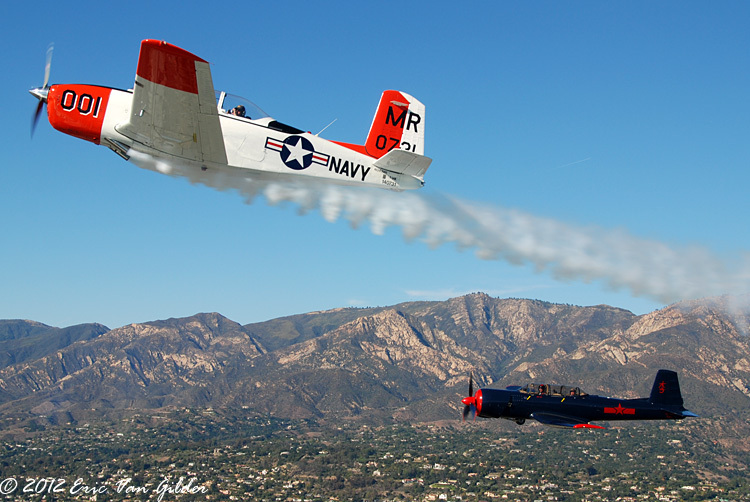 The next flyovers were by a P-51 Mustang and an F6F Hellcat. 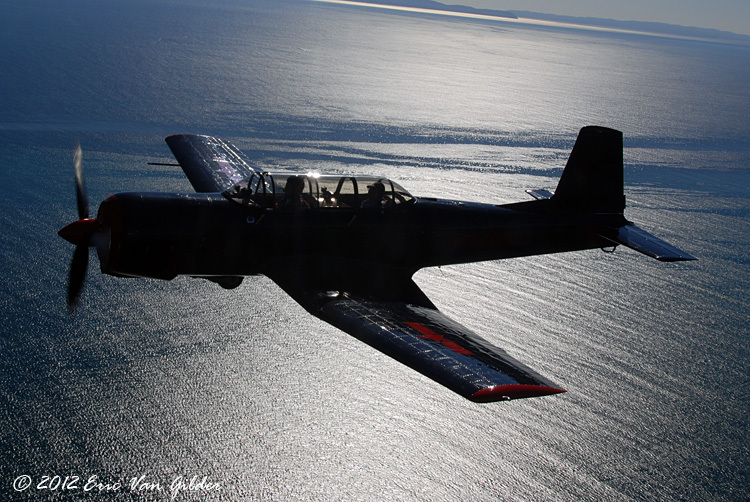 I was in the #2 airplane of a 15 aircraft formation. 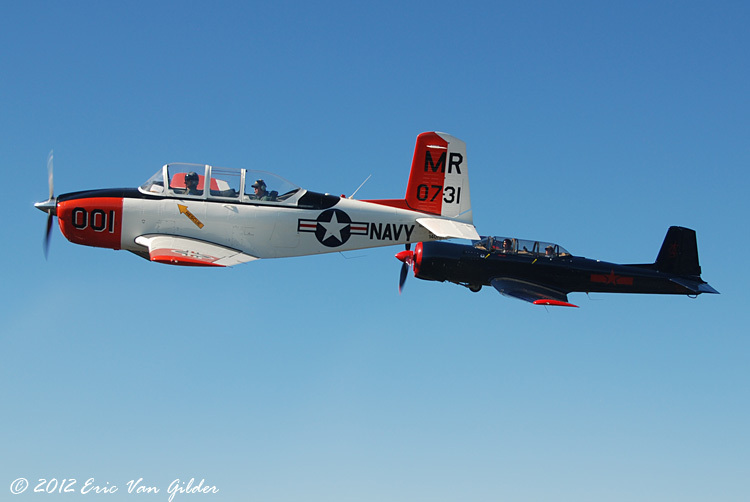 The first element of the formation were three T-34 Mentors and a Nanchang CJ-6A. 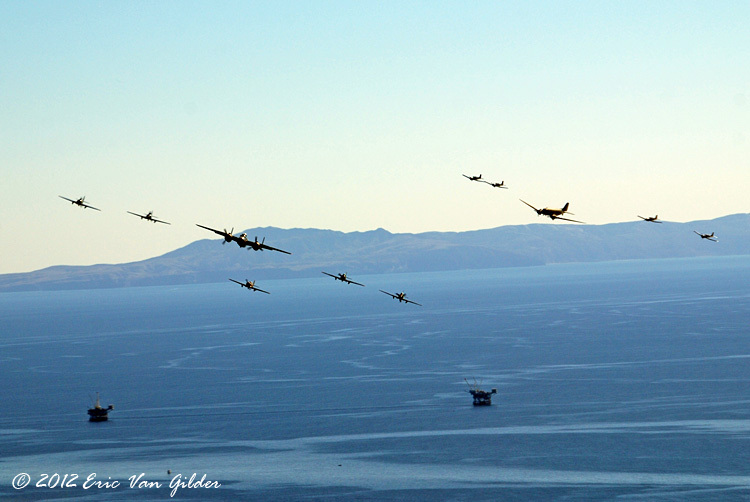 Behind that were a B-25 Mitchell with five Yakovlev Yak-52s. 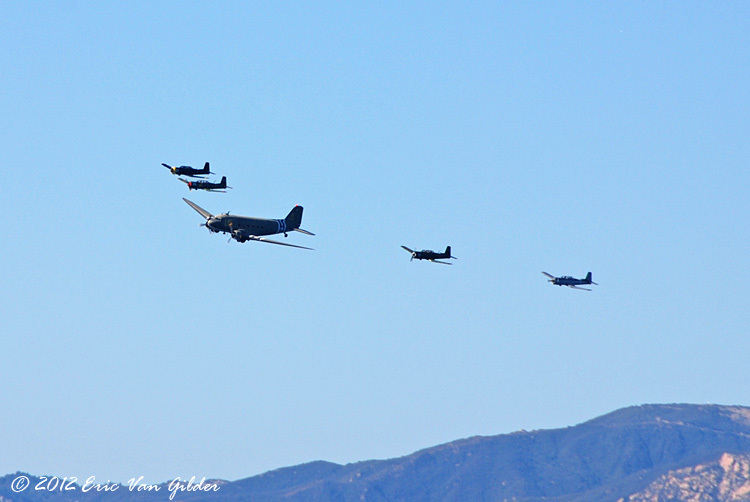 The last element was a C-47 Skytrain with four Nanchang CJ-6As. 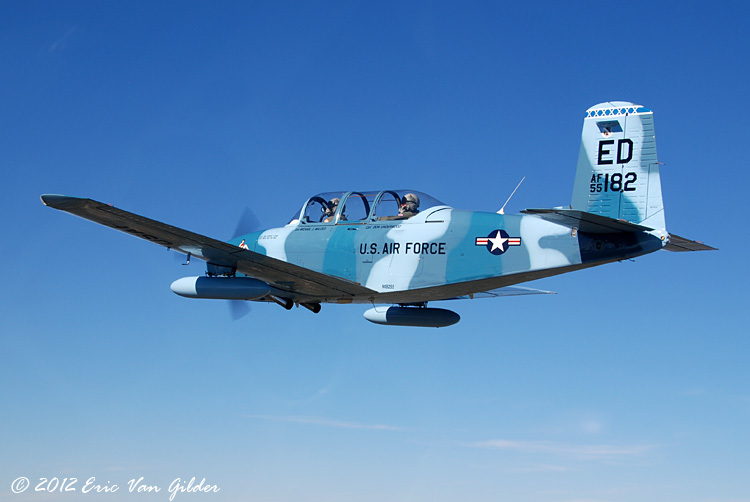 Thanks to Michael Maloco and Werner Holdereid for getting the aircraft and formations together. Thanks to Hazel and John Blankenship and the Pierre Claeyssen Foundation, Maurine Mc Fadden, Jon Parra, Jose Ramirez, Charles Huff, and all of the staff and organizers for putting this all together and making it happen. 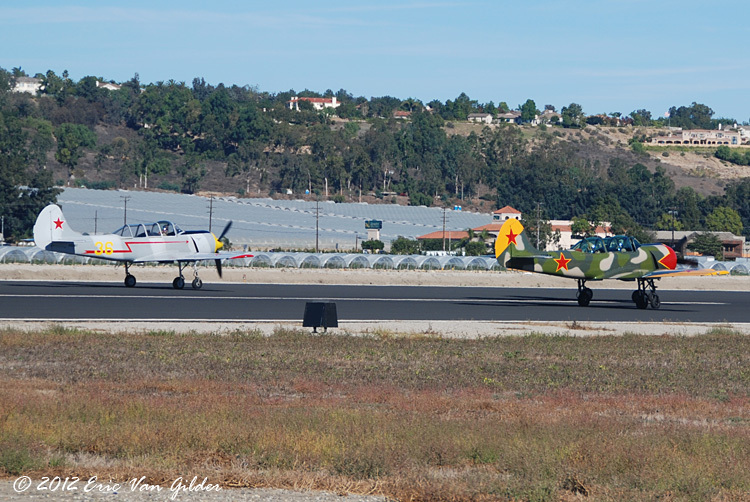 Yakovlev Yak-52s arriving at Camarillo for briefing. This group is the Red Eagles. 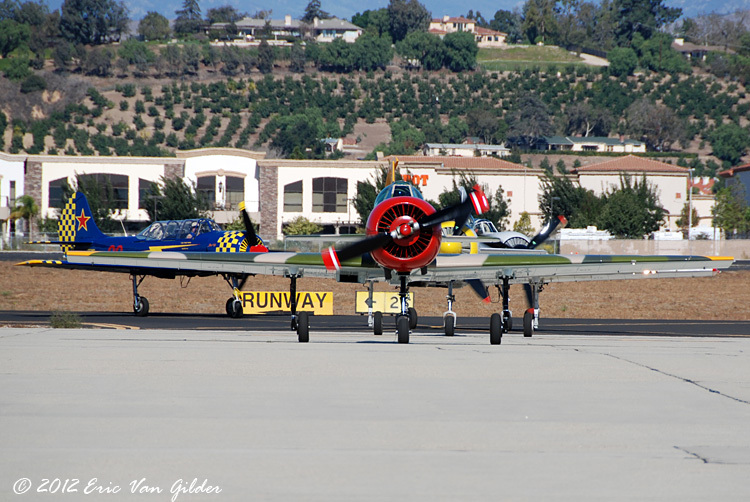 Red Eagles taking off from Camarillo. 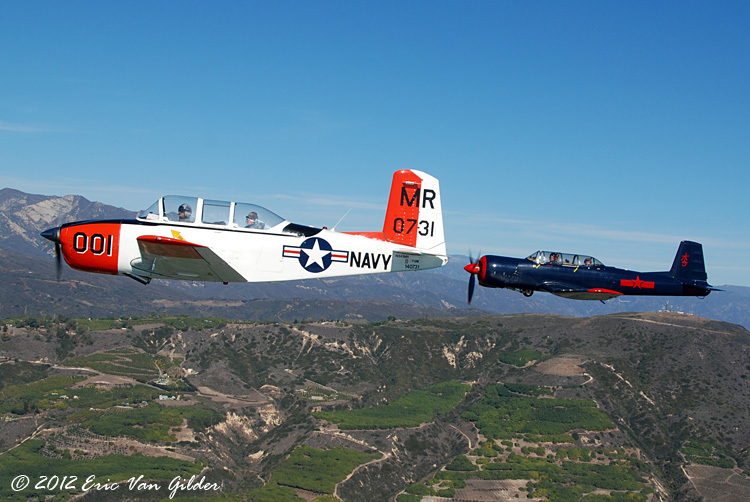 Michael Maloco and Werner Holdereid leading the formation..
Marc Russell in his T-34 Mentor and Ron Lee in his Nanchang CJ-6A. 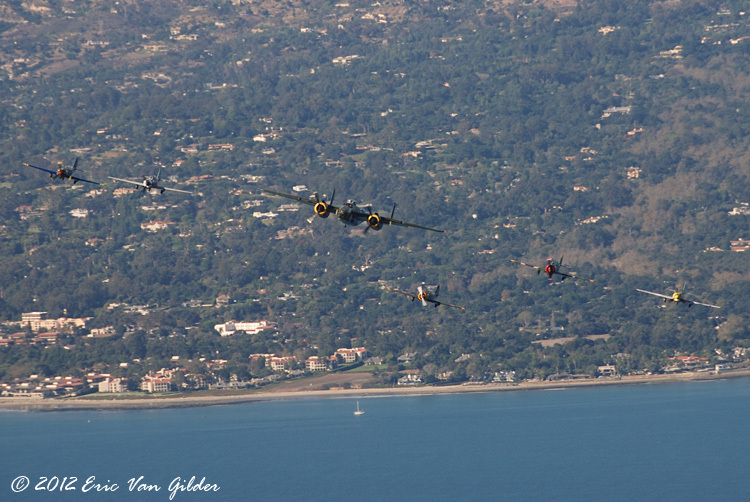 B-25 Mitchell "Executive Sweet" with the Red Eagle Yak-52s. 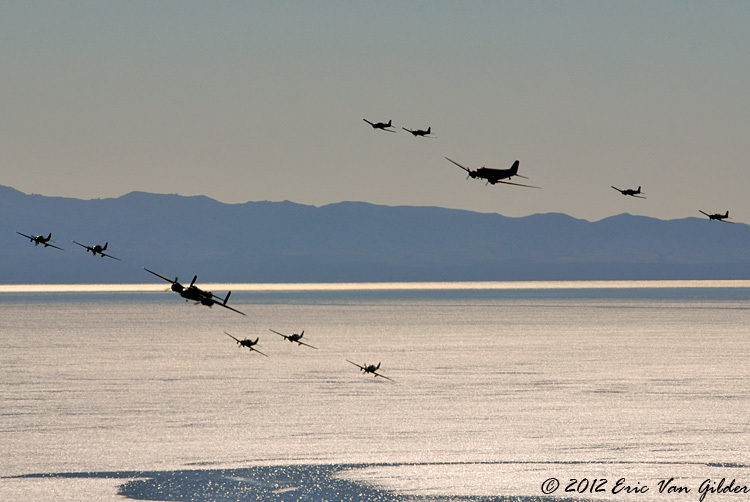 C-47 Skytrain "Betsy's Biscuit Bomber" with four Nanchang CJ-6As from Tiger Squadron. Looking over my left shoulder, I saw flight elements 2 and 3. What a sight! 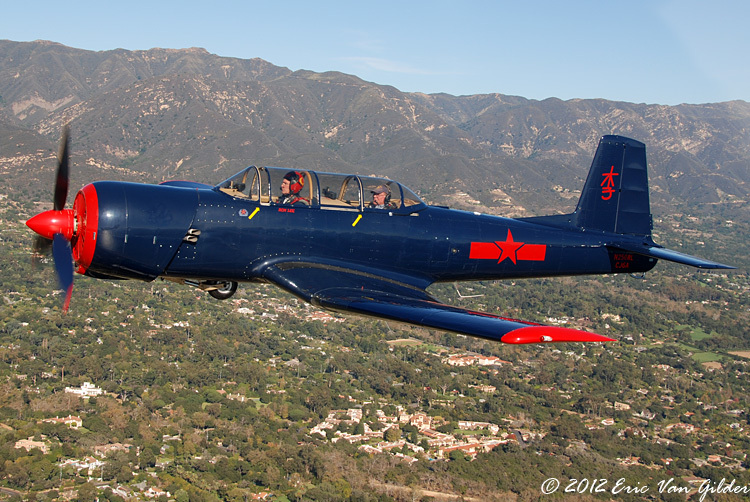 Ron Lee in his Nanchang CJ-6A. 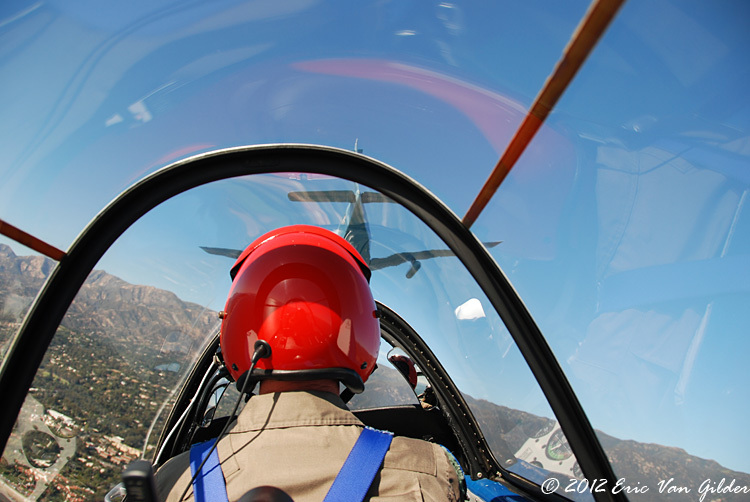 The view from #2 in trail with Ron Alldredge. The lead element of the formation from #2. 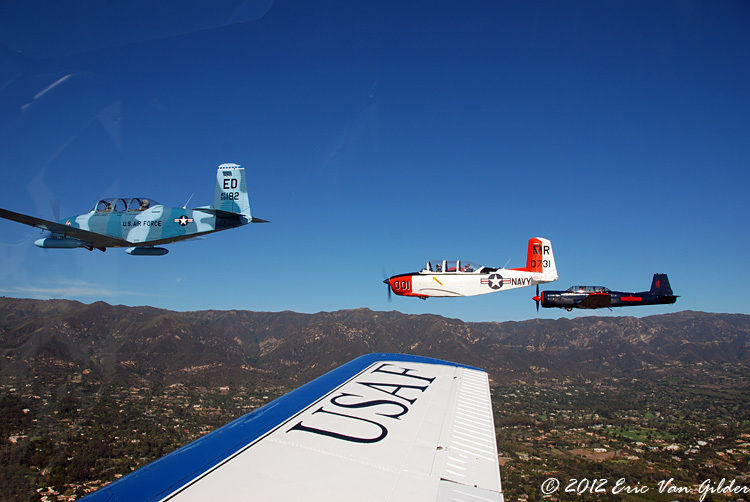 Marc Russell pulling for the missing man formation. 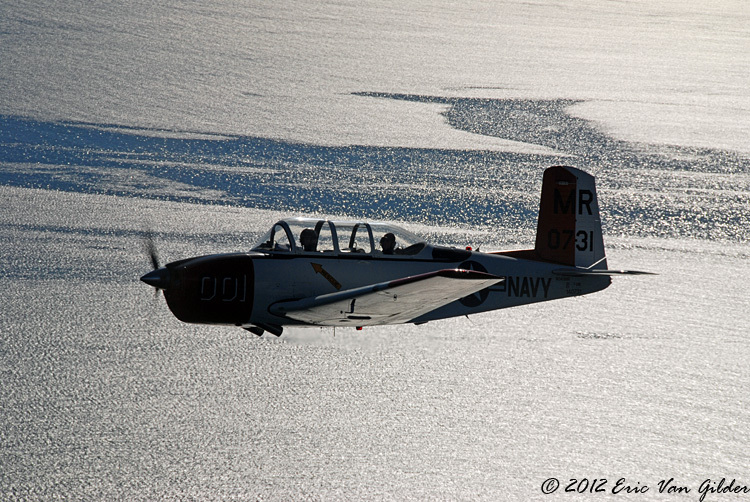 Marc Russell in his T-34 over the Pacific. 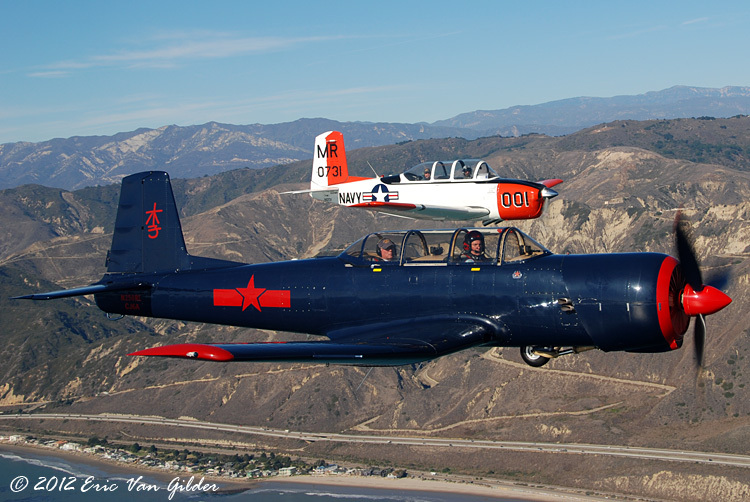 Ron Lee in his Nanchang CJ-6A and Marc Russell in his T-34 Mentor. Michael Maloco leading us home. Below is video captured from my helmet cam. It's best viewed in HD (720) at full screen to see all the aircraft in the distant shots.